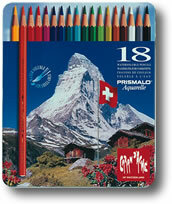 Caran D'Ache Prismalo Watercolour Pencils have a high pigment concentration giving strong, precise colours when used dry. 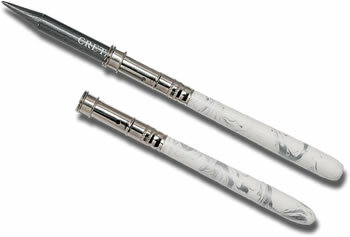 Used wet Caran D'Ache Prismalo produce great watercolour effects with excellent lightfastness. The 3mm leads are harder than the Caran D'Ache Supracolor range and give crisp, precise lines particularly good for graphic illustration and design.